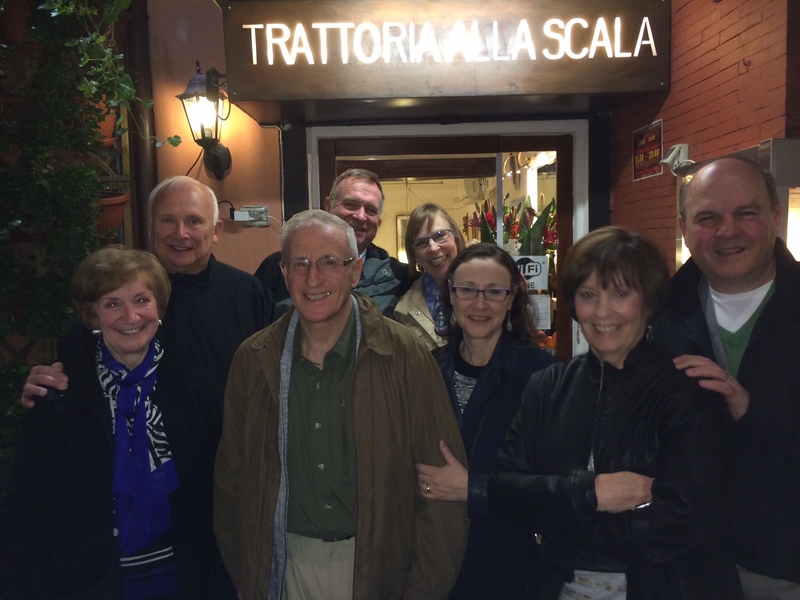 The after dinner glow from Trattoria Alla Scala in Venice Italy. 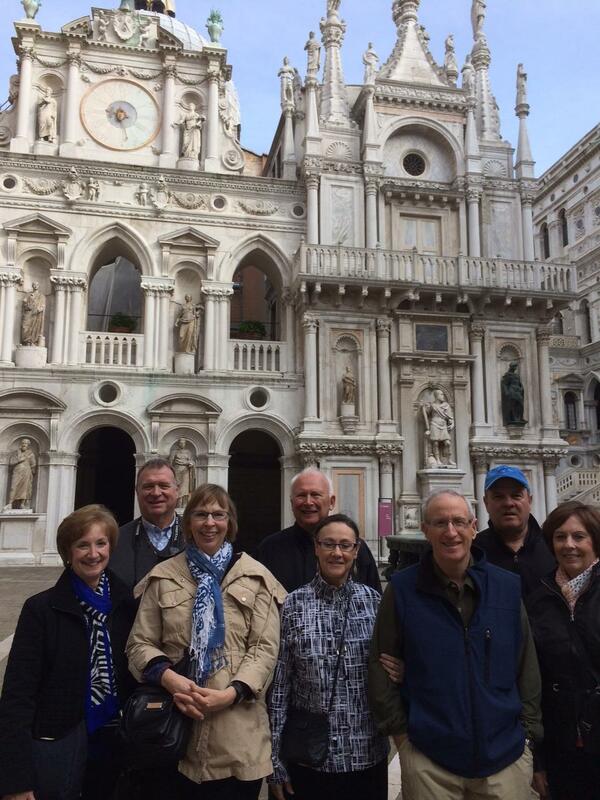 ON THE TUSCANY AND VENICE TOUR. April 4, 2014. 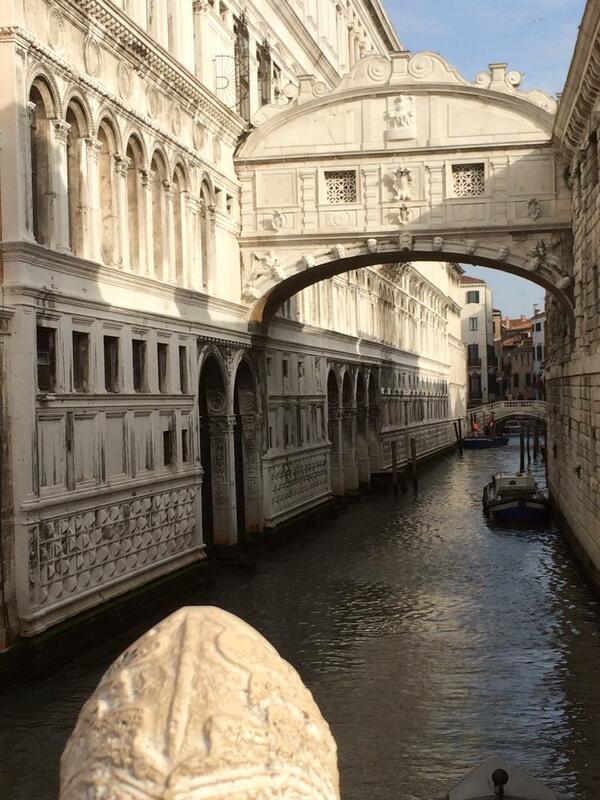 The day begins at the Bridge of Sighs in Venice, Italy. On their way to the dungeon, the prisoners would sigh as they saw their last view of freedom from the bridge. 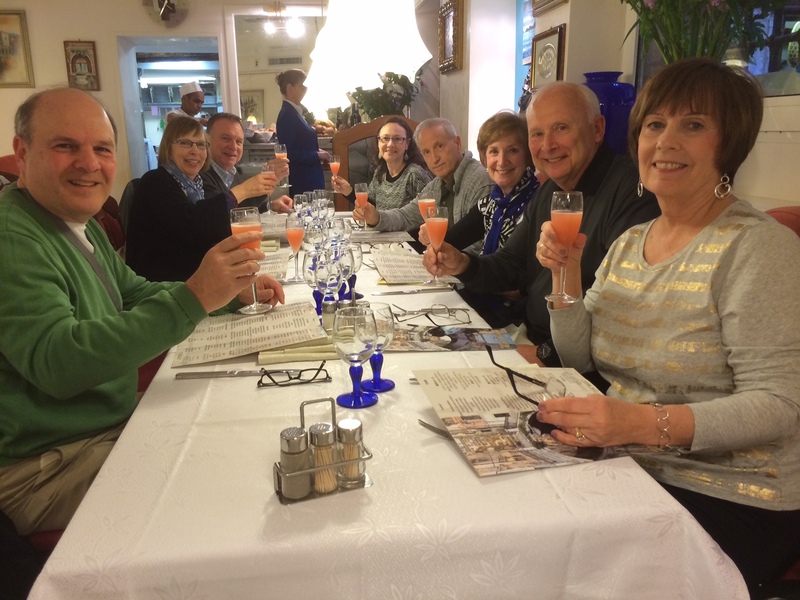 ON THE TUSCANY AND VENICE TOUR. April 4, 2014. 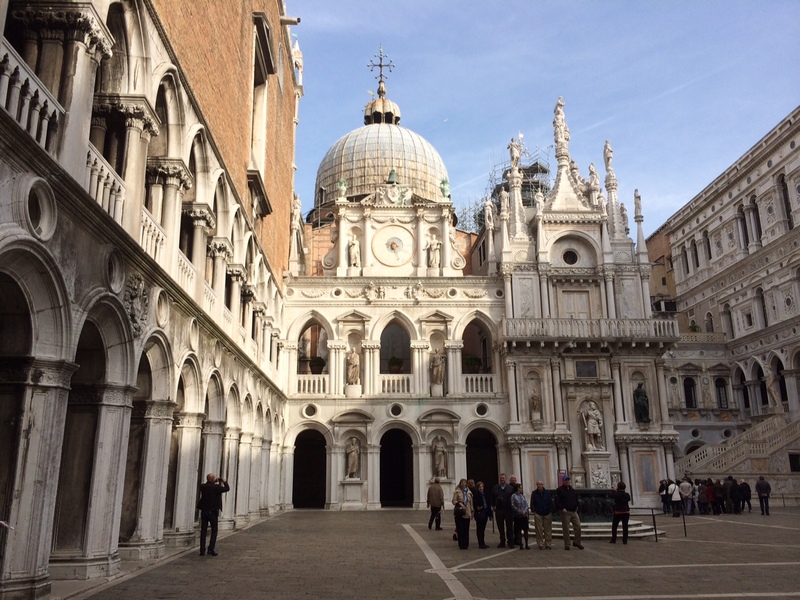 Inside the main courtyard of the Doges’ Palace in Venice, Italy. ON THE TUSCANY AND VENICE TOUR. April 4, 2014. 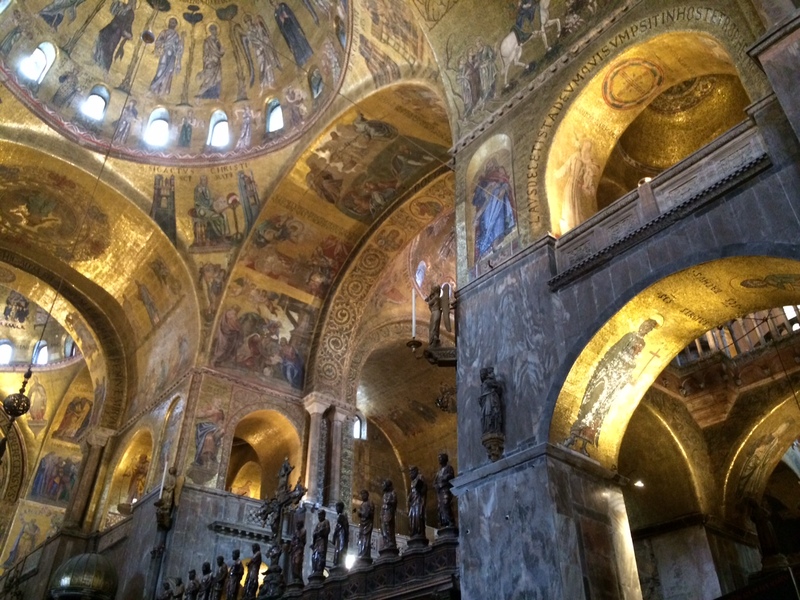 The stunning interior of St. Marks Cathedral. Built about the year 1000, it is in the Romanesque style but shows a lot of Islamic detail. 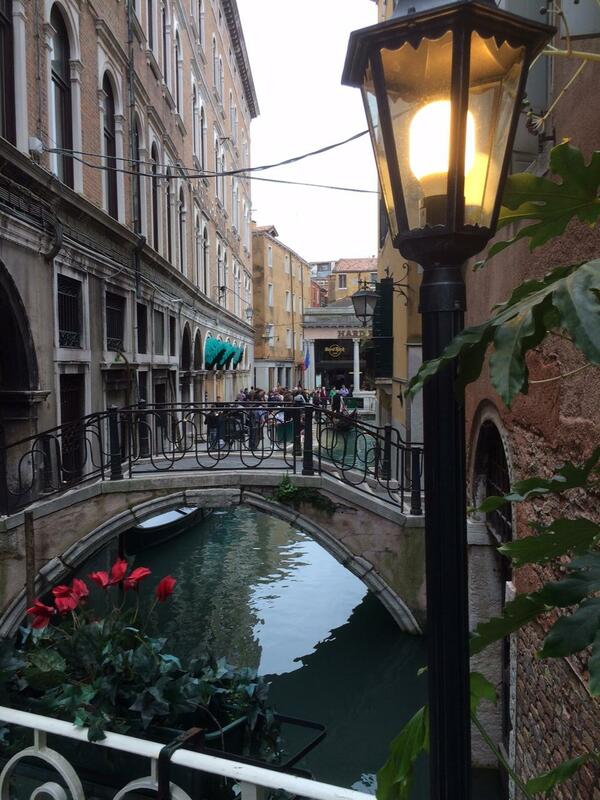 ON THE TUSCANY AND VENICE TOUR. April 4, 2014. A canal scene near St. Mark’s Square in Venice, Italy. ON THE TUSCANY AND VENICE TOUR. April 4, 2014. 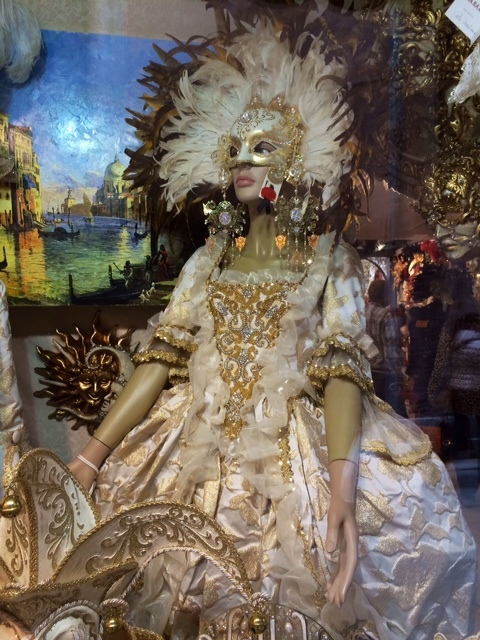 A traditional costume for Mardi Gras in Venice, Italy. ON THE TUSCANY AND VENICE TOUR. April 4, 2014. 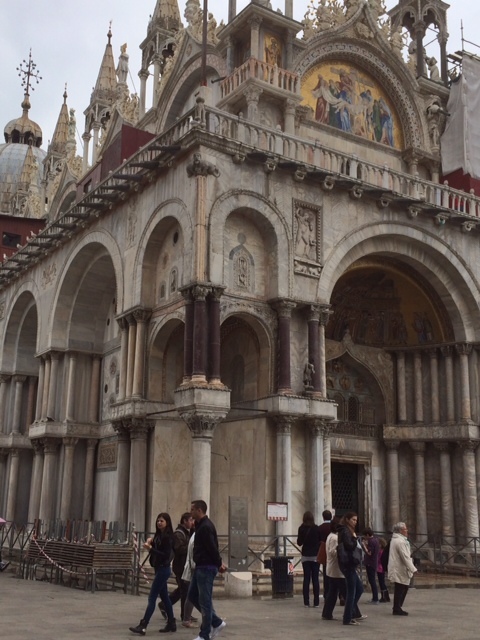 The very oriental looking St. Marks Cathedral in Venice, Italy. ON THE TUSCANY AND VENICE TOUR. April 4, 2014. 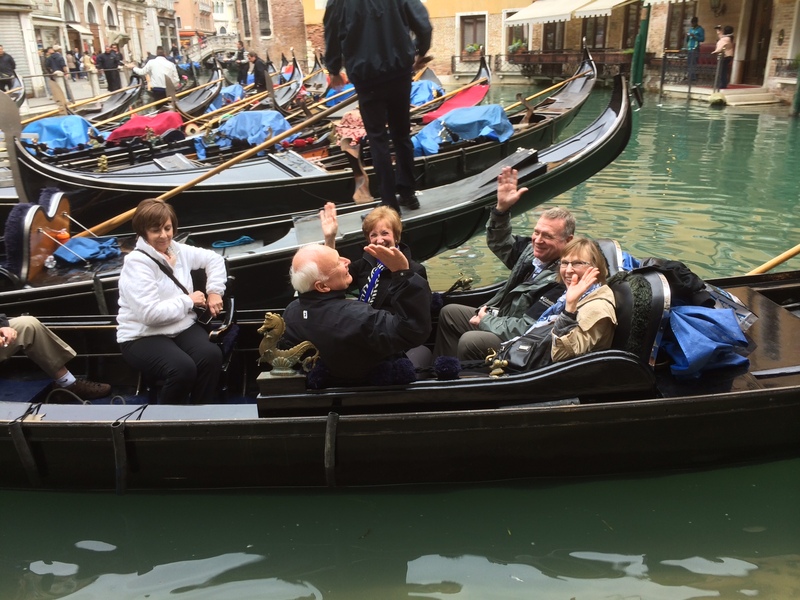 The group waves goodbye as they begin their gondola ride in Venice, Italy. ON THE TUSCANY AND VENICE TOUR. April 4, 2014.